Prescription meds gave Mia no relief from her constant seizures, that happened every 5 minutes. 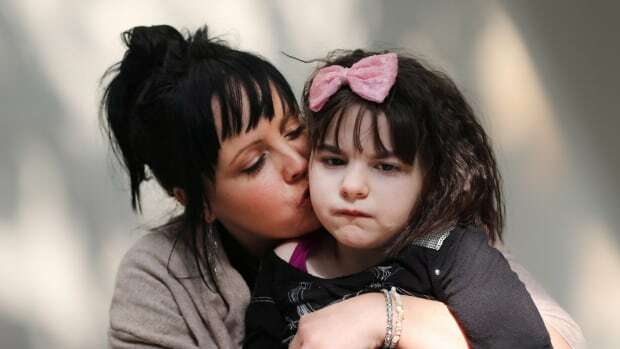 When her mother turned to cannabis oil, everything changed. At just 29 minutes old, Mia suffered her first seizure before being rushed to the neonatal intensive care unit in the hospital where she had just been born. After follow-up testing confirmed a diagnosis of a rare form of epilepsy called Ohtahara Syndrome, Mia’s mother, Sarah, knew their lives would forever be changed. However, after finding relief with cannabis oil, Canadian doctors then refused to prescribe it. After being told it was unlikely she would even survive to leave the hospital shortly after birth, Mia’s parents feared the worst. However, Mia was strong and exceeded all expectations. Despite suffering a seizure nearly every five minutes, Mia is now ten-years-old. It hasn’t been an easy life for Mia or her parents. Constant doctor visits, treatment adjustments, and terrifying seizures have filled their lives for the last decade. Many times the parents were forced to watch helplessly, as their daughter struggled through convulsion after convulsion. Even in her sleep, Mia would suffer from the debilitating seizures, as Sandra was forced to watch helplessly. Mia’s parents and brothers became constant caregivers, with their lives revolving around the needs of Mia. Despite their best efforts, treatments and prescription drugs were proving little help to Mia and, at times, Sarah was certain she wasn’t going to make it. Our neurologist said, ‘Sometimes there’s just nothing left for us to do.’ We brought her home, I told my boys, that was the absolute hardest thing I’ve ever had to do in my life. After searching online for any other options, Sarah stumbled upon a group where other parents of epileptic children were discussing the wonders of cannabis oil and how it had improved their conditions drastically. Knowing that her daughter was quickly losing her battle, Sarah decided to try to life-saving oil, in a last ditch attempt to save her daughter’s life. There were no children with Ohtahara who had tried it, so she was the first. Immediately we saw results, like that day. Seizures just weren’t there, she wasn’t seizing. Now, Mia is seizure free. After battling her doctors to continue the use of medical cannabis oil, Sandra is certain they’ve chosen the right treatment path for her child.